Multi Featured is module for showing your chosen products. 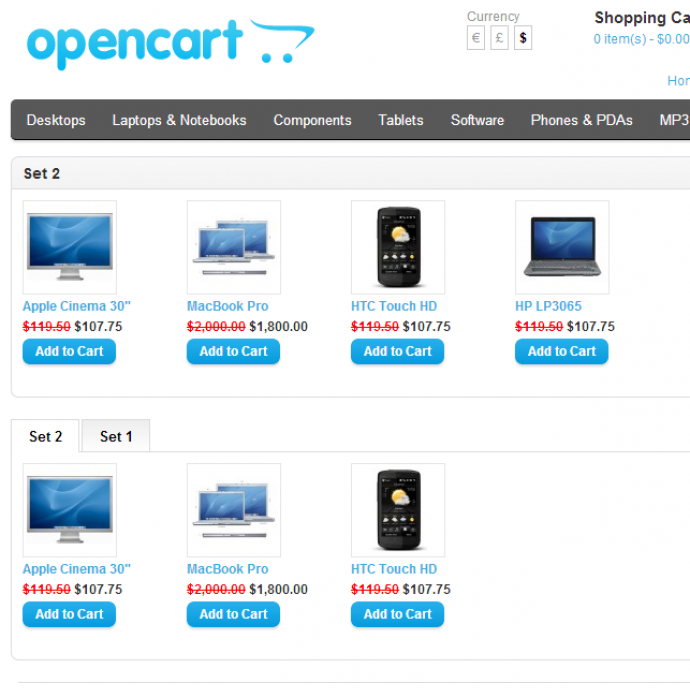 You can create several sets of products and in each module you can select which sets to show. 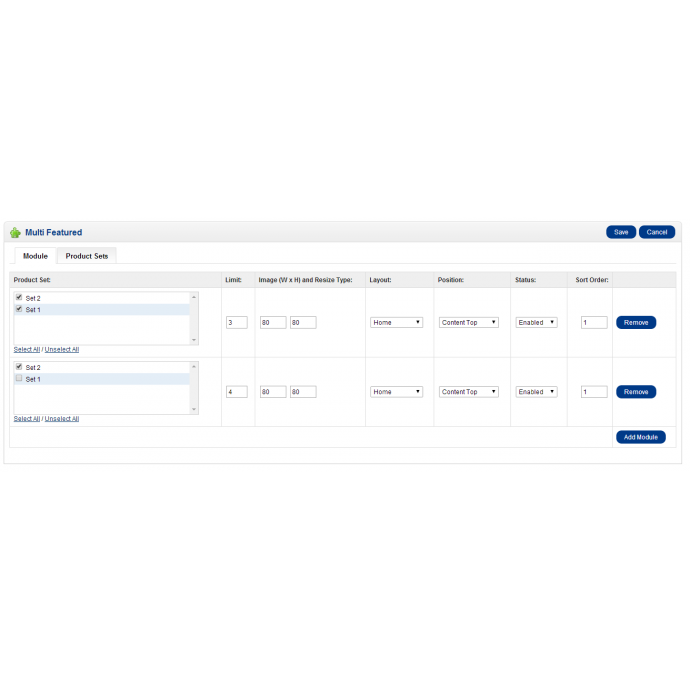 If you choose one set for module, products will be shown in classic product module style, if you choose two or more sets, selected sets will be shown using tabs. You can set custom set titles (with multilanguage support), which will be used as module titles. 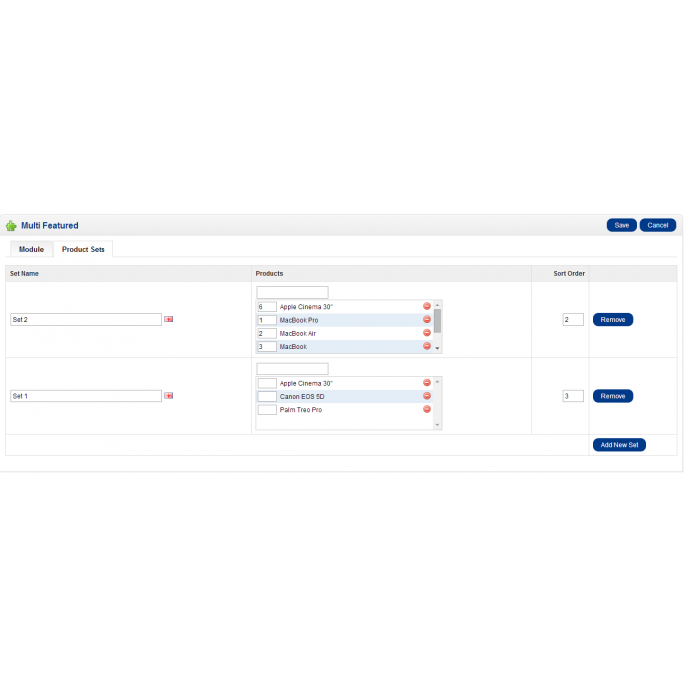 You can set sets sort order, as well as sort order of products in set. 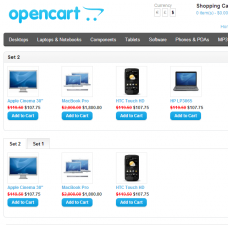 Module does not affect standard Opencart Featured module.